No matter the cause, we’ve all needed some help with a product or service we’ve purchased. 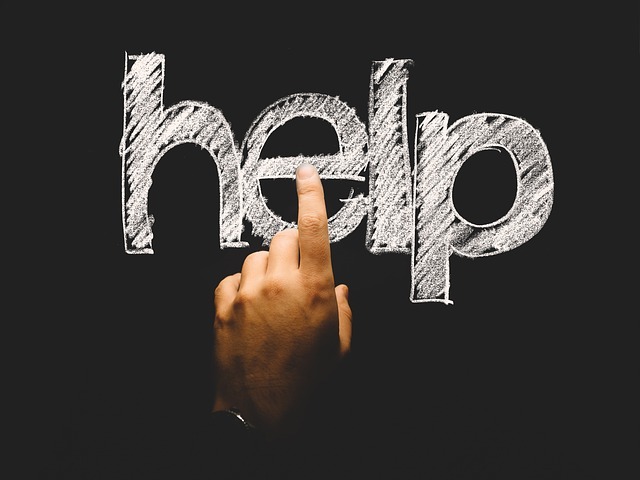 So it’s likely there will come a time when you (representing your business) find yourself asking for help from another business. Below we’ll share 5 hacks you can use when asking for help – asking anyone in a b2b setting. But first, it’s very important that we lay down some fundamental assumptions because not everyone shares the same perspective on what help means. You want help that achieves a legitimate business outcome. Not everyone defines help the same way. Expecting a supplier to provide a safe space to vent your frustrations, while some may see that as “help,” and even an entitlement of their business relationship is not what we’re talking about here. We are talking about actual help to achieve some legitimate, desirable, business outcome. Time is valuable, and you want help fast and efficiently. You hired a supplier because they possess specific, subject matter expertise. The supplier really wants to help you – because that’s how they will keep good customers, earn a profit, and build a business. Know your supplier’s process. Good suppliers will publish a clearly defined process to get you the support you need. Many offer support “channels” such as a knowledge base, FAQs, troubleshooting steps, support tickets, phone, or email. Knowing what they provide and following their process will always get you better results. Remind yourself that suppliers are human beings. Unfortunately, this is a highly discounted concept in the era of “keyboard warriors.” Some think they’re entitled to berate a supplier or tell them how to run their business because the world is not immediately conforming to their personal needs. However, it’s a fact that you’re engaging human beings that you need to help you. That basic idea underpins this, what is likely the most important hack of all. Terse, thoughtless, condescending or threatening queries may make modern-day warriors feel better about themselves in their moment of inexorable frustration and “crisis.” However, their behavior is almost certain to produce bad results and possibly harm or destroy the business relationship. So how do you put a better approach into practice? It’s simple. Keep all queries factual and respectful – and you’ll always get better results. Take some initiative even before you reach out. In today’s instant information internet age, many problems can be solved online, quickly and efficiently. If your supplier offers FAQs, a Knowledge Base, or Troubleshooting steps, it makes great sense to scan those first to see if your issue can be resolved quickly and easily. Communicate! It’s becoming a lost art. But it can be critical in saving time and frustration. We’re not suggesting you write a book when two concise sentences will do the trick, But we are suggesting that you take a minute to think about how you can best explain yourself to a person who fielding your question cold – and without your unique context. State the issue you’re trying to solve, explain what you tried, what results your efforts produced, and ask specific questions that lead somehwere. This will tremendously help the person responding to of help you. Smile! – Keep a good sense of humor and balance. No one’s perfect, and no one’s likely to perish if things don’t go perfectly your way every time. Check out Roger Daltry, this is no social crisis, just another tricky day for you. This is a music business, after all.